Today, the 60 year old mascot of The State Fair Of Texas, Big Tex, caught fire. 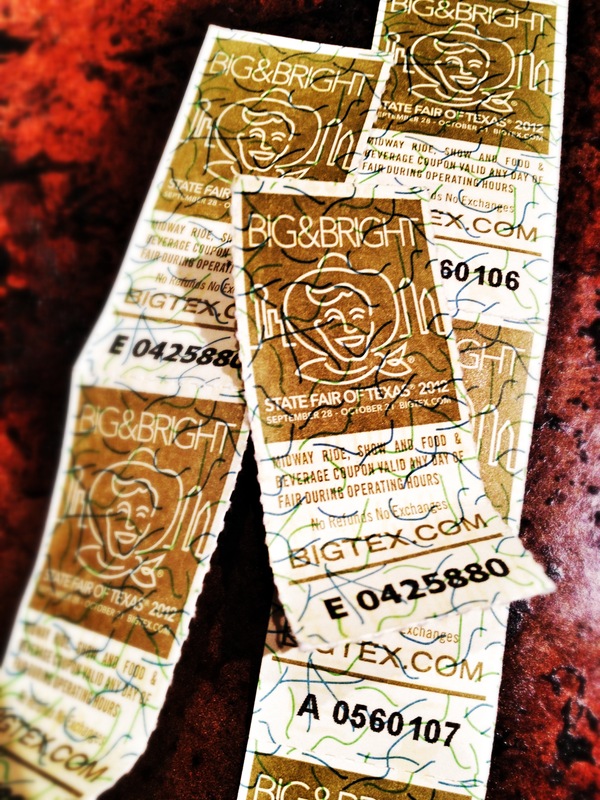 ticket photo by Cyndi Long “Big & Bright.” Boy, were they right. Officials believe the fire was caused by an electrical short in his boot. Most Texans believe the blame can be fully placed on Tony Romo and the Dallas Cowboys. So sad. I hope they rebuild him exactly as he was before… well, I could live with flame-retardant clothing. Sad truth is that Dickies offers flame-retardant clothing!